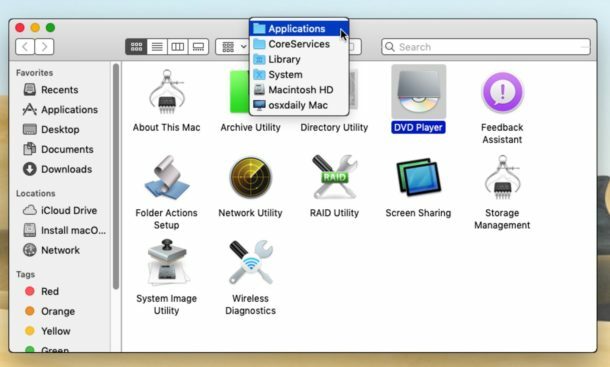 If you play DVDs a lot and it’s not already too crowded, control-click its icon and choose Keep in Dock. 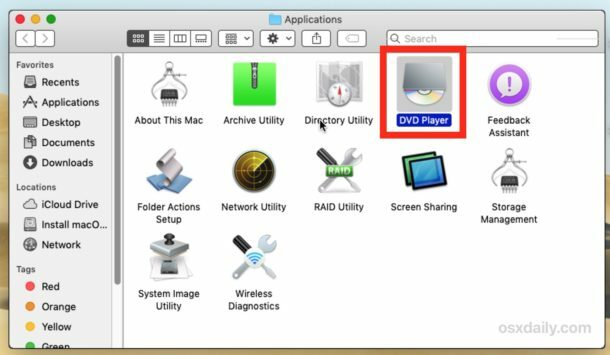 What happens when you put a DVD into the Superdrive – won’t that automatically open the DVD Player app. ?? DVDs. 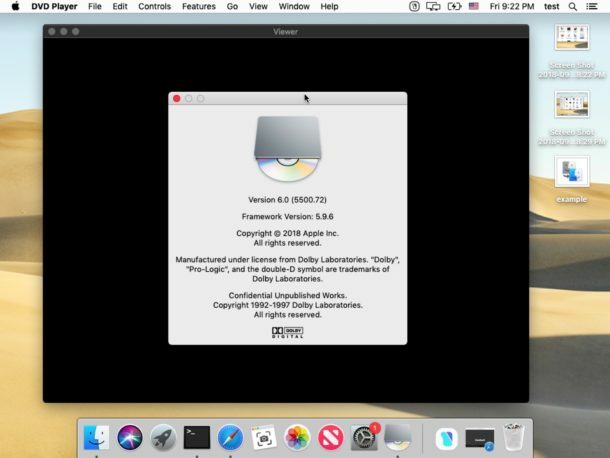 The directory for the core apps was found using Finder/Go/Go to folder. Is there something wrong with my Spotlight app? I have been using the Superdrive to burn jpg images onto discs to send to clients. I have had several sessions with Apple support and still awaiting a solution. The drive worked fine until Mojave was installed. I’m awaiting Apple to get back to me. Have any of your found a solution to this? Why do they feel the need to keep moving apps to the CoreServices folder? Most of these could just be left in the Utilities folder, and everyone could find them easier. I have been using Apple products since the 80’s and the company has never failed to piss me off on a regular basis. Many moons ago Steve Jobs said that DVD and other plastic media were dead. Since he made that comment hundreds of millions of dollars have been spent on both commercial and blank DVD’s. Every person I know has a stack of DVD’s. My local store is still full of them and they are selling. They are selling because we dont live in Palo Alto and have 100mbs internet and the ability to download a box set of a series is years away. Of course DVD’s are terrible BUT I have many clients that still have absolutely NO IDEA how to play any other type of media. YES they will soon be dead – ( not my clients – but DVD’s) In the meantime I happen to need the software to burn and play them. If I had thrown away my dvd burner when Jobs told me to I would have had no customers. I just tried to play a DVD and noticed that the computer had no idea what to do. I eventually located the player using Pathfinder and was amazed to find a little box of unused apps. Why put them there ? Thoroughly agree with At)micMac. Put them where you can find them. On to a 3rd party app for that now I guess.